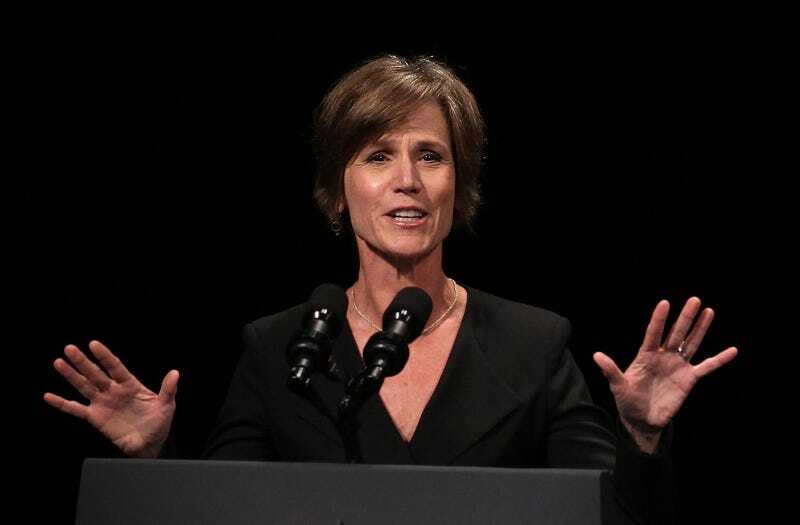 Defending the constitution is exactly what the attorney general is supposed to do, and what Alabama Sen. Jeff Sessions—the guy Trump has nominated to become America’s next attorney general—expected Yates to do when he grilled Yates in her confirmation hearing in 2015. But Trump apparently wants to surround himself with yes-men (and I do mean mostly men). The White House called Yates’s decision a “betrayal” and instated US attorney Dana Boente, who has no problem with Trump’s executive order.